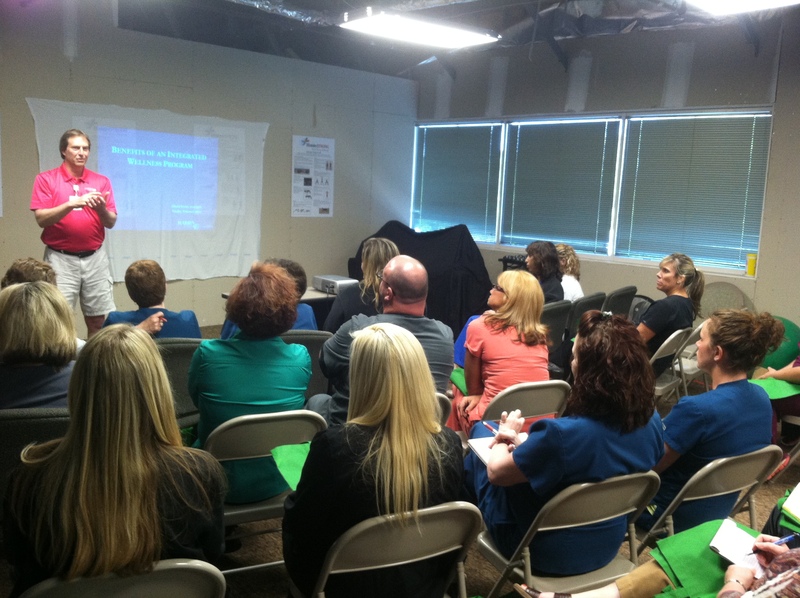 HarbinSTRONG hosted three Fuel Sessions in Cartersville this week. 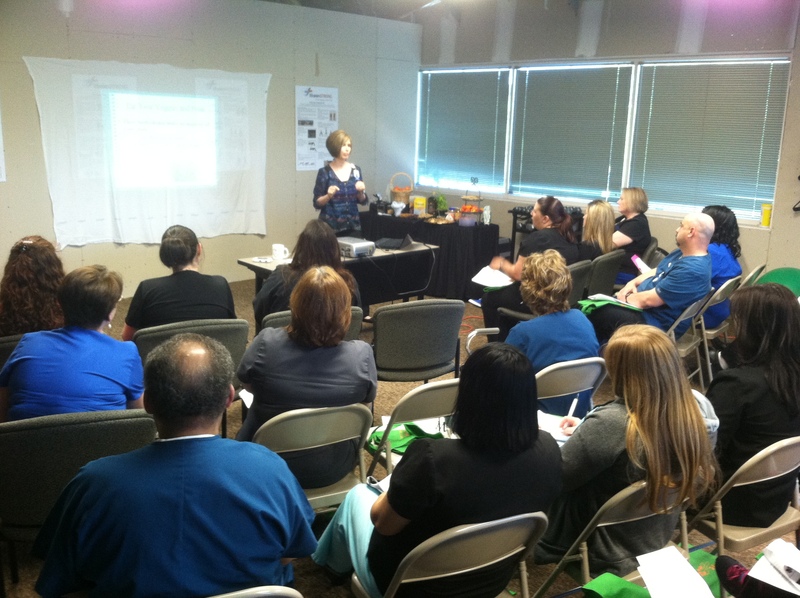 Employees had the opportunity to receive valuable information about stress reduction, the benefits of eating the Mediterranean way and total wellness for the mind and body. Thank you to all for your active participation. 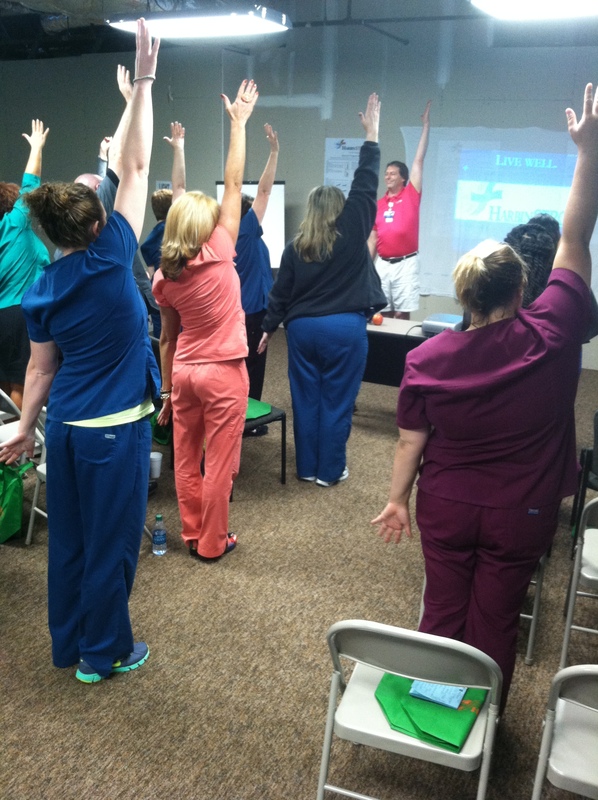 David Strain leads the class through a series of exercises that help reduce stress on our bodies during the work day. 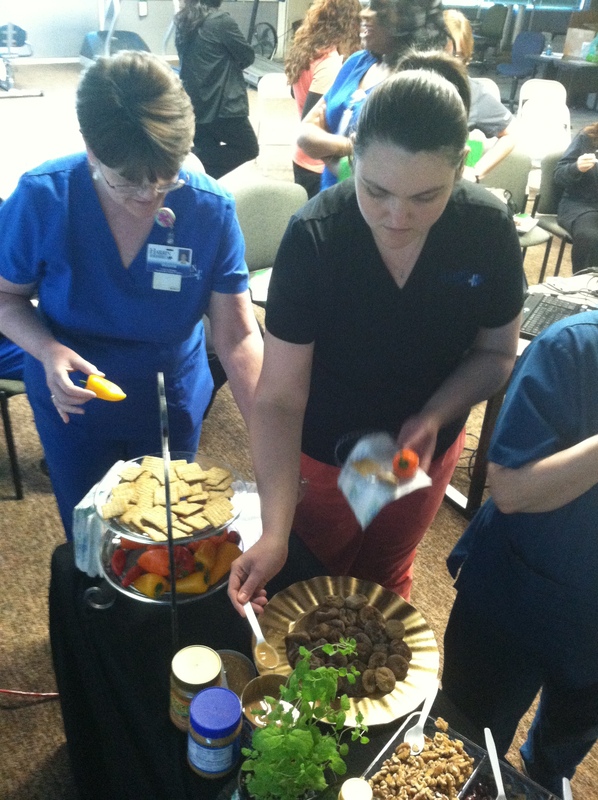 Employees enjoy delicious samples of Mediterranean foods. 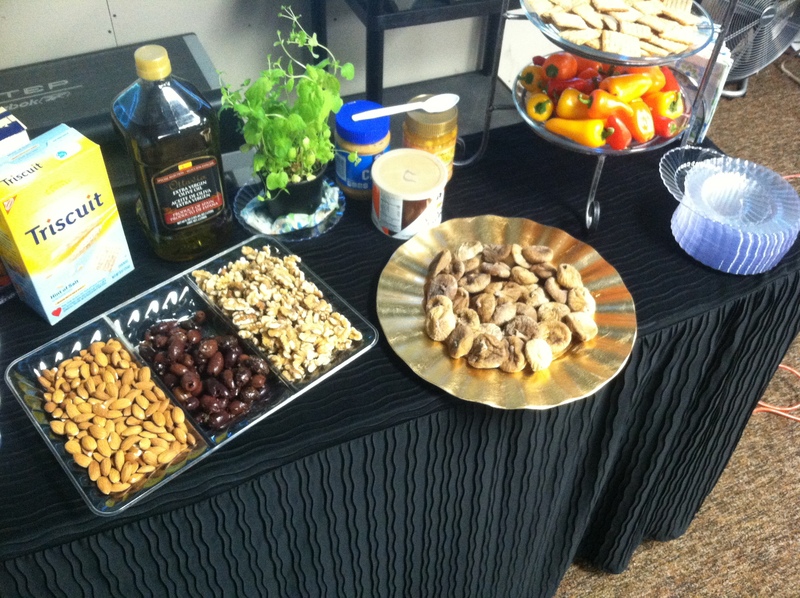 Peggy Williamson, Harbin Clinic Dietician, provides an overview of the many benefits of the Mediterranean diet. Samples of yummy foods incorporated in a Mediterranean diet including nuts, peppers, dried figs, greek yogurt, chia seeds and olive oil. David Strain, Vitality Fitness Manager, leads a session in Keys to Stress Reduction.